How Do You Know Your Mission is From God? 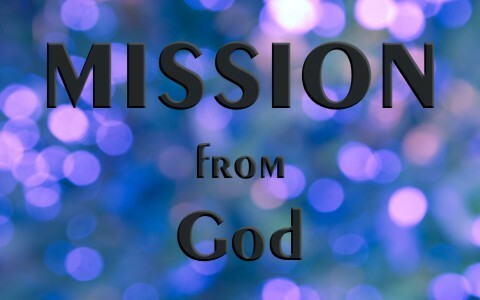 Do you know what a mission is? In Christian circles it is usually associated with some sort of work in a foreign land. However, a mission is simply an important assignment; a vocation. Every Christian has a mission. Some are called to do an important assignment right in their own community, while others are called to the foreign field. Generally, when someone becomes a “Missionary” to a foreign land they are quite sure that it is an assignment from God. However when we are called to do work right here where we live we sometimes doubt if it is from God. So then, how do you know your mission is from God? Here are some check points from the Book of Acts in the Bible. You have a definite calling – Paul is speaking here about his own conversion on his way to Damascus (Acts 9:3) Paul (formerly known as Saul) heard the Lord speak to him in his own language. He knew something (someone) was calling him. You will definitely respond to God’s Lordship – Notice what Saul called the voice “Lord”! You will understand what God has called you to do – Saul was previously a leader in the Jewish nation and he hated Christians. In fact, he was present when Stephen was stoned to death (Acts 7:59-8:3). Saul understood that his life was about to change and he needed to talk about what was happening on this journey. You will see God’s hand in your life to accomplish this mission – Saul had to see God’s hand and trust Him to do what He said He would do, after all, He was about to go preach Jesus to the very people he set out to kill earlier in his life. You will proclaim the gospel – God had a new plan of salvation that He was about to offer to the Gentiles because the Jews rejected the message (Romans 9 & 10). God called Saul to proclaim the gospel. You will have a testimony of obedience (even through testing) – Paul did what God told him to do. He did not question it. He was completely obedient. Acts 26:20 But shewed first unto them of Damascus, and at Jerusalem, and throughout all the coasts of Judaea, and then to the Gentiles, that they should repent and turn to God, and do works meet for repentance. Resources – Scripture quotations are from The Holy Bible, King James Version. Previous post: Should Christians Take ED Medications? Next post: How Can You Help Bring Someone Out Of A Cult?